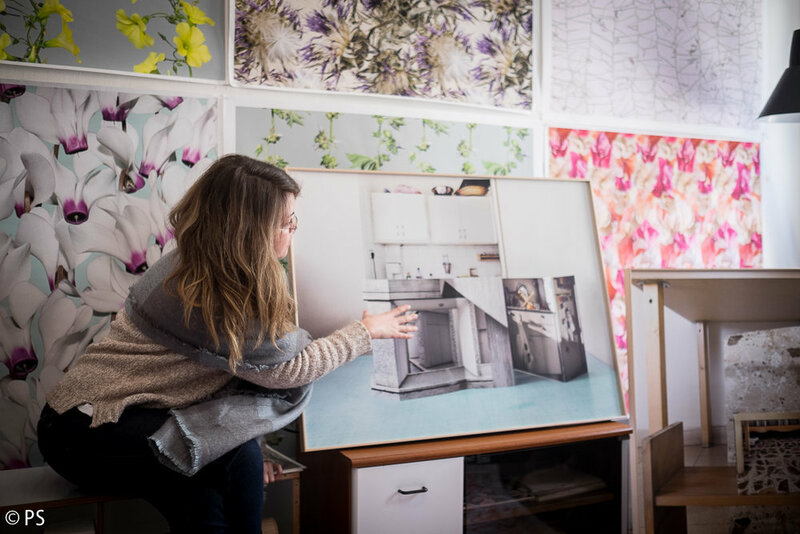 Through our private art tours Oh So Arty guides and clients have the privilege of engaging with some of the most talented emerging artists in the contemporary art scene today. They invite us and our clients into their studios where they share their ideas and artistic practices. With our latest editorial series we are putting our guides ‘In Conversation’ with these artists to expose their work to a broader audience. 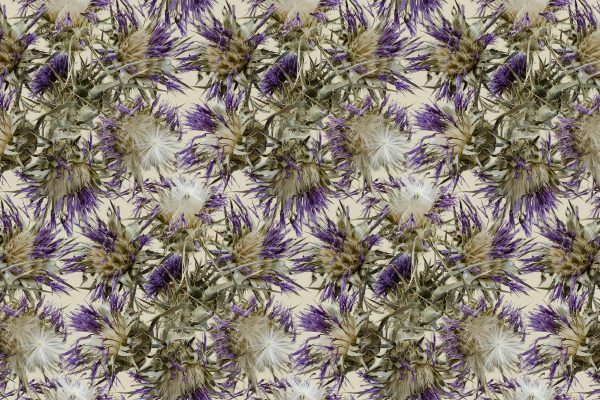 To really combine these two – I photograph local, common, generic plants and flowers, then I create wallpapers that are repetitive, endlessly continuous, high resolution, seamless patterns that I print on very high quality wallpaper that is suitable for this kind of imagery. Then I create spaces with those patterns and I aspire really to create interesting, challenging and beautiful spaces that really raise questions about the feeling of an individual within space. VV: The first time I ever exhibited this work [Paper Walls] was in Fresh Paint Seven – they gave me the first shot with this series. Since then I’ve created and exhibited different and new patterns and I’m really happy for the opportunity to show these new works in Fresh Paint Ten. One major difference in this new work is that I show them on panels that are also on a frame base that elevate them from the wall and this way it is modular. This entry was posted in Artists and tagged Photography, Sophie Weinstein, Vera Vladimirsky.